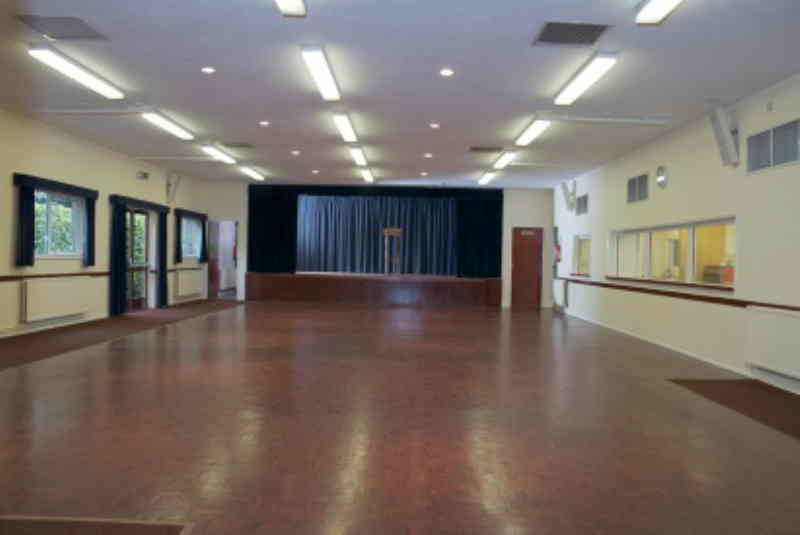 The Hall is light and airy with full central heating. Wi-Fi is available free when requested. 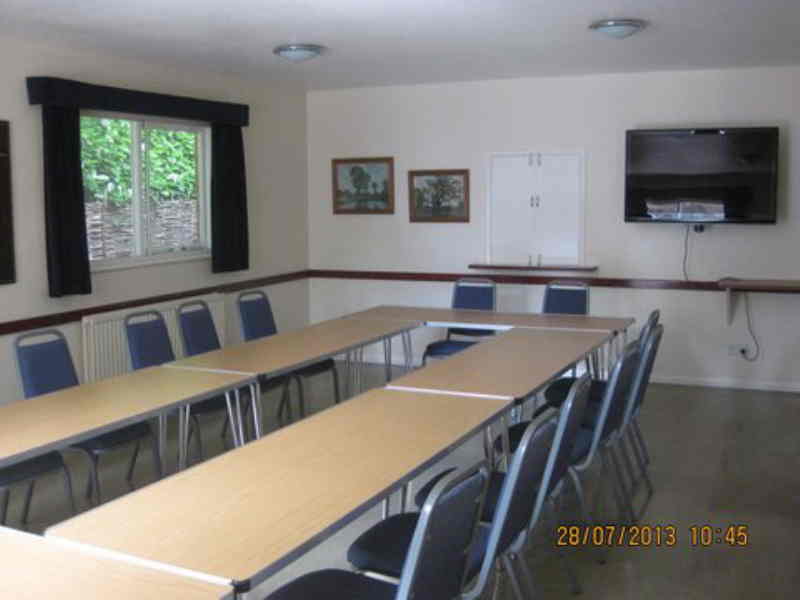 A ceiling-mounted projector and screen is also now available to hirers, by prior arrangement with the Booking Secretary. The large hall is 47ft by 29ft (14 metres by 9metres ), suitable for large events or activities needing more space. It also has a raised stage suitable for a DJ, Quizmaster, Singers, Dancers and Actors. The floor is mainly wood block with carpet tiles on 2 sides making it ideal as a dance floor with space for tables and chairs surrounding. Wall water heater and electric kettles. There is also a separate bar area adjoining the kitchen with its own sink and hatch. The maximum capacity of the hall is 120. It has 120 padded chairs, 18 formica tables. 24ft x 14ft ( 7metres x 4metres) provides a very flexible space for fewer people. It is often used for smaller meetings ,groups and creche. It has 24 padded chairs, 6 formica tables and 6 Bridge tables. The kitchenette has a sink, fridge, kettles and water urn. A hatch opens into the Small Hall. Large Audio Visual Screen to use with your own PC. Free Wi-Fi available. DVD player avaialble on request. Wheelchair ramp to the front door and disabled toilet facilities inside. Gents and Ladies have 2 cubicles each with disabled and baby changing facilities. The Ladies washroom was recently refurbished.